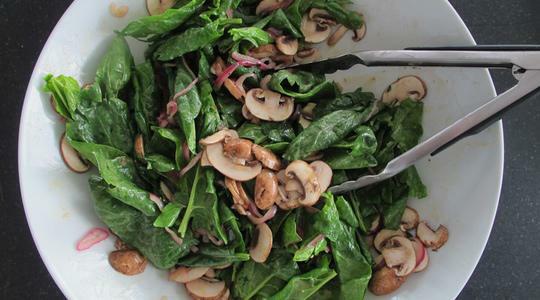 Tear off and discard the tough stems from the spinach. 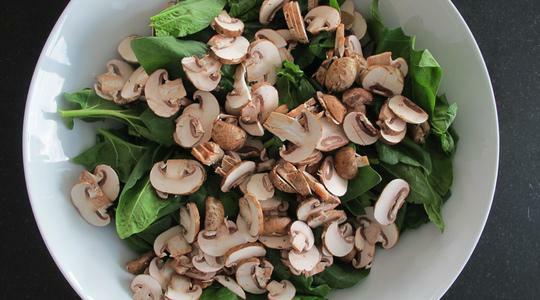 Put the leaves into a salad spinner, wash, spin dry (you should have 8 to 10 cups), and place in a large salad bowl. 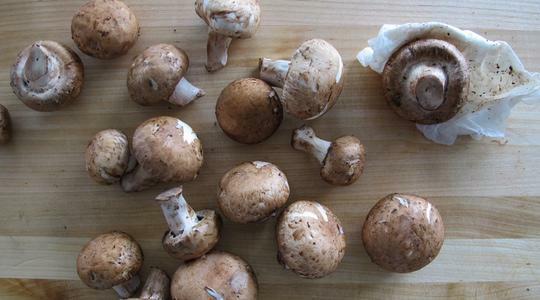 Using a damp paper towel, wipe off the mushrooms. Trim the ends and discard. 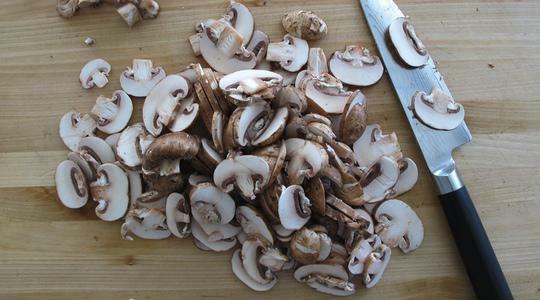 Then thinly slice the mushrooms. Add to the bowl. Slice the onion into thin half-moons and set aside. 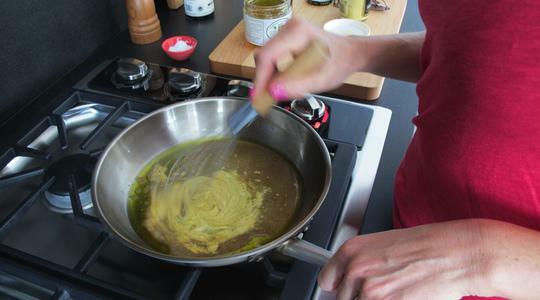 For the vinaigrette: Place a medium skillet on the stove. 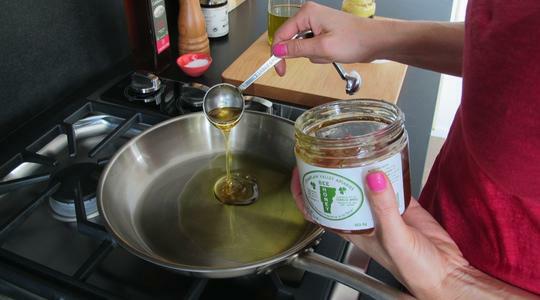 Add the oil, honey, vinegar, mustard, salt, and pepper (about 12 turns on a pepper mill) and whisk together. Turn the heat to medium. 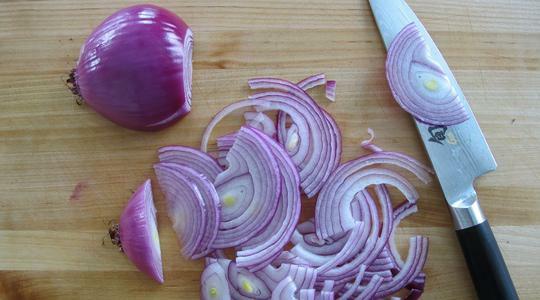 Add the sliced onion and cook, turning with tongs, until the onion is softened but still a little crunchy, 2 to 3 minutes. 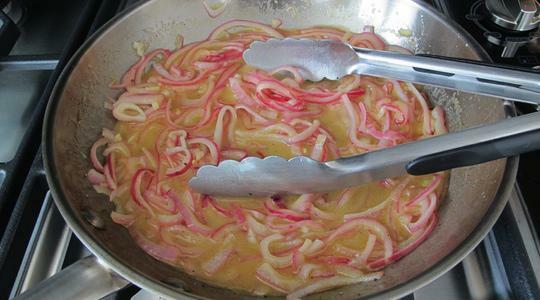 Pour the warm vinaigrette and onion over the salad and toss well with tongs. Crumble the blue cheese over the top and serve immediately.